Ensuring clear communications at sea and keeping up the crew's morale can be costly, but here are some new items that can prove helpful. 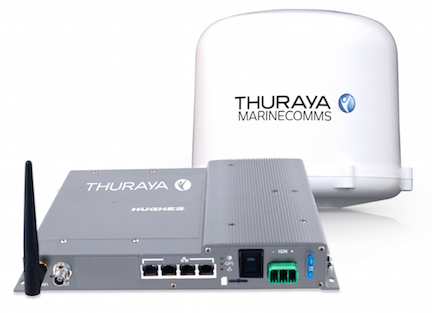 Mobile Satellite Services operator, Thuraya Telecommunications Company and its service partner, IEC Telecom, will join forces to showcase the latest maritime services at this year’s international shipping exhibition, Posidonia 2016, in Greece. 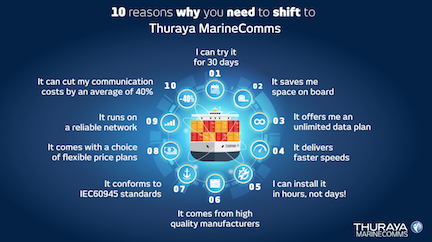 Leticia Diaz del Rio, Global Business Development Manager, Maritime, Thuraya, said, “We look forward to meeting our valued customers and meeting new ones at what is a very important maritime event. 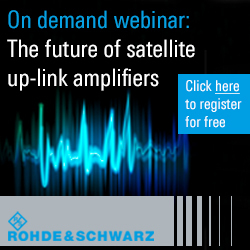 Ship-to-shore communications has numerous benefits for ship owners and crew. Easy to install, Thuraya Atlas IP offers managers and crew seamless access to the Internet, enhanced connectivity, and high-speed onboard efficiency with best-in-class data rates. As well as driving operational efficiency, ships can now be transformed into remote offices with very little effort. The terminal features a single cable connection to the stabilized antenna, direct bulkhead mounting, and built-in Wi-Fi. Combined with Thuraya’s flexible airtime plans, Atlas IP is a reliable and efficient data connection point that makes it easy to manage and which reduces operational costs. Atlas IP has been tested in a variety of marine environments and regions proves to be a ‘lifeline’ to the maritime sector. 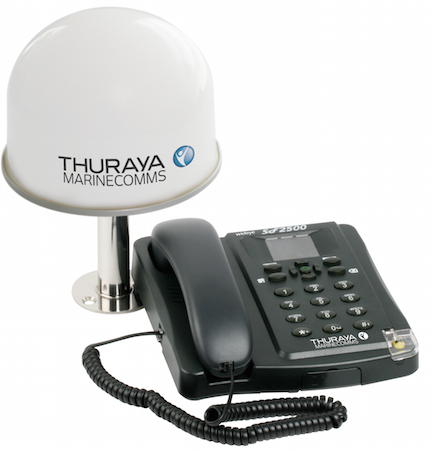 Built by Thuraya, Orion IP provides merchant maritime, fishing, government and leisure users with competitively priced data connectivity at rates of up to 444kbps. Harsh maritime and land environments require robust, versatile, and cost-effective solutions. Thuraya SF2500 is a voice terminal designed and built for such environments. User-friendly and easy to install, the SF2500 is the safe solution for small to medium-size fishing vessels, patrol boats as well as land vehicles. Thuraya Calling Card provides a reliable and affordable way for individuals and business executives to stay in touch with friends and family. Calling Card can be used from fixed and mobile phones and through the Thuraya network. Ship owners can be provided with an onboard landline number of their choice to ensure cost-effective voice calls from ship to shore and from shore to ship. Available in denominations of 25, 50 and 100 units, Calling Card is created for business leaders needing to monitor the cost of calls made by crew. The unique Thuraya Calling Card allows individuals to make numerous calls from the same handset without waiting for a huge monthly itemized bill.